D’Appolonia has conducted environmental projects for private industry, government agencies, A/E firms, and construction contractors. Our scope of services typically includes work plan preparation, site reconnaissance and exploration, evaluation of field data and laboratory analysis, risk assessment, engineering design of remediation, and monitoring of construction. Our engineering designs are aimed at minimizing construction and long-term maintenance costs and meeting regulatory criteria for environmental soundness. We work with our clients and regulatory personnel to identify alternatives that are cost-effective and meet environmental objectives. Our project experience includes environmental compliance monitoring on large international infrastructure construction projects. D'Appolonia has performed numerous environmental site assessments in support of property transactions. We offer site assessments that are consistent with the ASTM Standard Practice for Environmental Site Assessments (E-1527 and E-1528). We tailor the scope of environmental assessments that we perform to the needs of the client. Examples of facilities where we have conducted environmental audits include steel plants, chemical plants, hydroelectric facilities, and a wide range of manufacturing plants. D'Appolonia staff members have been responsible for several major environmental impact studies for hazardous and nuclear waste disposal facilities, coal and metal mining operations, sanitary landfills, steel plants, and coal and uranium tailings projects. A significant portion of our experience is related to international projects, especially in Latin American countries such as Argentina, Chile, Mexico, and Puerto Rico. D’Appolonia is experienced with respect to remedial activities associated with Superfund sites. Our staff have performed remedial investigations for Superfund sites including preparation of work plans, sampling and analysis plans (SAPs), health and safety plans (HSPs) and quality assurance/quality control (QA/QC) plans. 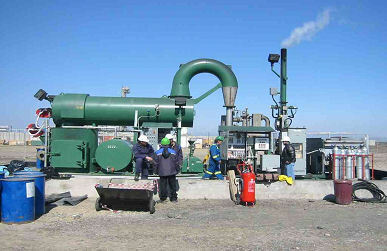 We also have extensive experience with respect to development of feasibility studies for site remediation and have evaluated numerous containment treatment and disposal technologies including clay and soil caps, multi-media RCRA-type caps, ground water cutoff trenches, slurry walls, bottom lining systems, leachate collection and treatment systems, ground water extraction and treatment systems, waste stabilization, and soil washing. We are familiar with methods for biological, chemical and thermal treatment for waste and contaminated soils. Our experience includes excavation, handling, and disposal of drummed and bulk wastes and contaminated materials. 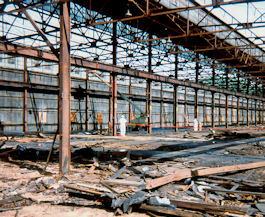 D'Appolonia provides civil and environmental engineering services for characterization, remediation and redevelopment of abandoned industrial sites. 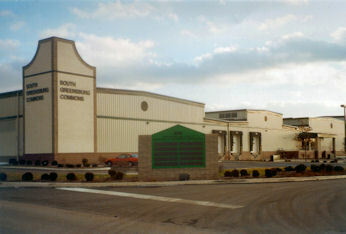 In Western Pennsylvania we have facilitated the redevelopment of several former steel and glass making sites in the Ohio and Monongahela River Valleys. We employ various remediation alternatives associated with Pennsylvania’s 1995 Act 2 regulations and similar laws to help redevelopers mitigate environmental liabilities associated with old industrial properties. Our approach typically includes: (1) an initial evaluation, (2) preparation of a detailed environmental assessment, (3) preparation of demolition and remediation plans and specifications, (4) monitoring of site remedial work, and (5) preparation of a final report documenting site activities. We keep abreast of environmental regulations, and our interaction with agency personnel results in remediation and redevelopment conducted in an environmentally compliant and cost-effective manner. D'Appolonia is experienced at providing engineering services for landfills at both the conceptual and design stages. We have provided these services for various aspects of solid waste disposal facilities including: cap and liner systems, leachate collection and management systems, gas management systems, ground water controls, access roads, surface water control structures, and material handling facilities. To assist our clients in optimizing return for each dollar spent on construction, D’Appolonia routinely applies value engineering principles to our designs. Our staff is familiar with the regulations and technologies that drive the design of solid waste disposal facilities. We work with our client and regulatory personnel early in the design process to identify viable options that are economical and that meet regulatory criteria. D'Appolonia has provided geo-environmental engineering services related to the removal of more than 50 underground storage tanks. 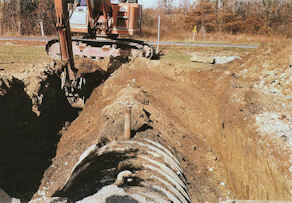 These services have included tank assessments and design, observation and documentation of tank closures; related environmental remediation; and replacement tank installation. Our personnel have extensive experience in performing field testing including ambient air monitoring, head-space readings, and soil and water field screening tests. Our environmental staff are certified to perform immunoassay-based tests that provide quick, accurate, and semi-quantitative results, thus minimizing costs due to laboratory analysis delays and/or unnecessary removal and disposal of clean soil or water. We are also experienced in the preparation of detailed reports documenting the assessment, closure, testing procedures, and test results suitable for submittal to the applicable regulatory agencies. Third party monitoring is employed in order to assess compliance with environmental and social conditions placed upon loans by lender groups to contractors performing major infrastructure projects in third world countries. Typically the contractor responsible for construction prepares an Environmental Management Plan (EMP) to demonstrate how the myriad social and environmental issues covered by International Finance Corporation (IFC) guidelines will be addressed during the project. To monitor actual compliance with the contractor's EMP, multi-disciplinary technical teams are retained by the lender groups. D'Appolonia has assembled and led such teams for several recent high profile international construction projects including the Chad/Cameroon Pipeline Project in West Africa and the BTC Pipeline Project in Azerbaijan, Georgia and Turkey. In this role we have conducted extensive on-site audits of these projects and provided comprehensive reports to the sponsoring lending institutions.